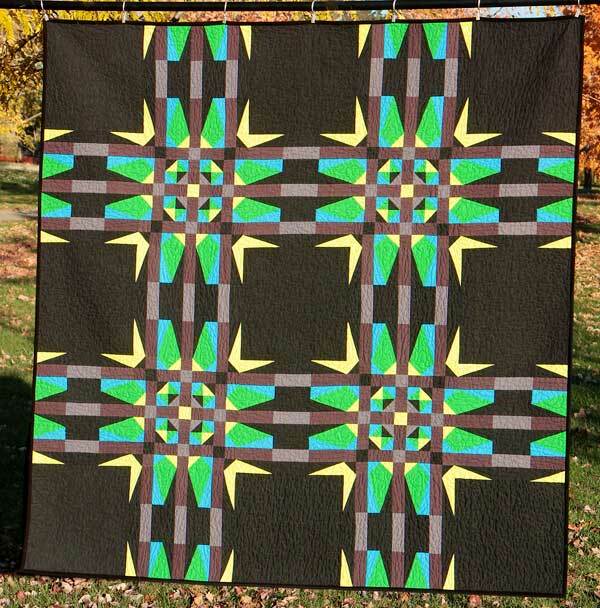 I designed this quilt by having fun in Electric Quilt stretching and shrinking “Shoo fly” blocks. I made the coloring very graphic and bold and thought it looked a little bit like electricity. This quilt took me quite awhile to actually finish because lining up all of those odd angles was pretty fiddly. I love it though!